We all have seen a rewards table right at the top of our steemworld.org profile page. You can get a idea about your daily curation and author SP, and earnings of SBD and STEEM for last 6 days. This is an awesome website to check anyone's earnings stats and activities. This got me thinking how much curation rewards I have earned daily from the day I joined Steem. So, I wrote this Node.JS script to loop through my account history to check and group curations rewards by their date. This function do all the looping through - 5000 items per loop. It checked for curation reward entries and push them to an array with their date for further processing. When looping is completed the callback groups all the records by their dates from that array and returns an object. // Save the ID of the last transaction that was processed. In the Self-Invoking anonymous function we call the above function and process the returned object. We add all the VEST for each day, convert them to SP, and save them to another array with their dates to write to a readable JSON file. For a old account with lots of activities it will take a long time depending on your internet connection and device. For my account in my laptop it takes 30 seconds or so. Check out the full code on this Gist and if you have any suggestions, feel free to comment. Code screenshot was taken using this awesome project. 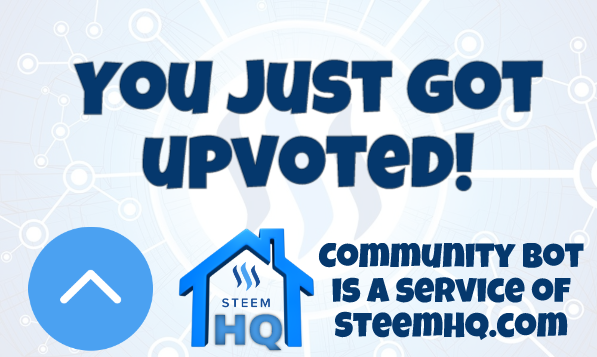 you just received a 15.80% upvote from @steemhq - Community Bot!